Cristina is an attorney, advisor, and advocate who helps her clients build and sustain viable cannabis and hemp enterprises. As the founder of Cristina Buccola Counsel PLLC, she is retained by entrepreneurs, institutional and private investors, farmers, consumer products and tech companies, artists, media outlets, and not-for-profit organizations. Cristina advises on transactional matters and investment opportunities, designs brand/IP protection and licensing programs, develops strategic ventures, and manages her clients' day-to-day legal needs. She also assists cannabis and hemp producers, processors, wholesalers, retailers, and applicants in navigating the legal, licensing, regulatory, and operational challenges they face. Cristina is admitted to practice law in New York, New Jersey, Massachusetts, Oregon, and Illinois (retired). 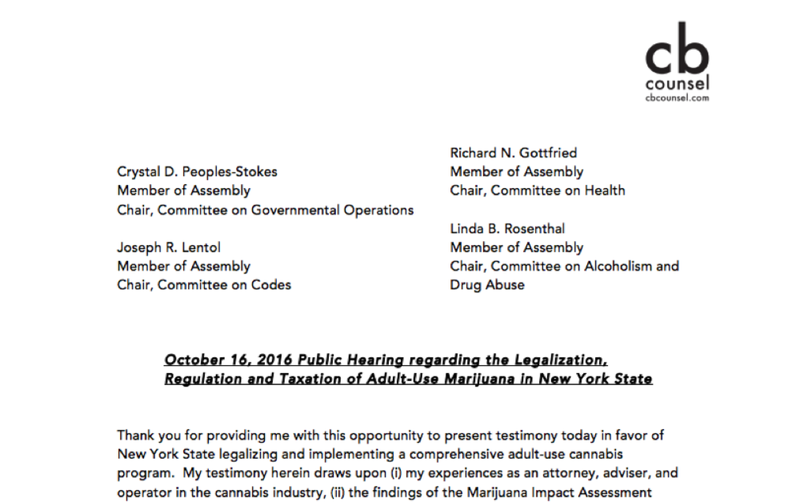 Cristina dedicates a portion of her practice to public interest/policy work related to medical cannabis and economic and social justice issues, has testified in front of the New York State and New Jersey Legislatures about cannabis regulatory programs, and has worked with elected officials on developing cannabis legalization positions. 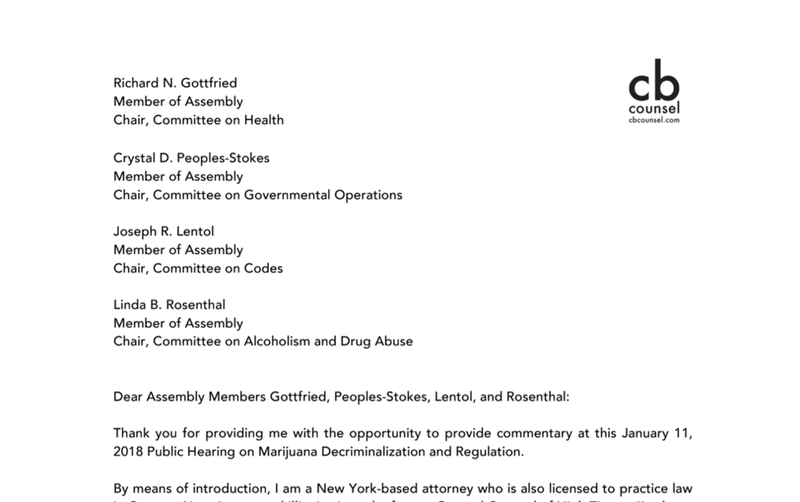 She is a member of the New York Cannabis Bar Association and the National Cannabis Bar Association. Cristina also serves as Counsel to Serenity Garden Harlem, a community garden in Sugar Hill, NYC. Cristina is routinely tapped as an authority on legal, business, and policy matters related to cannabis and hemp. 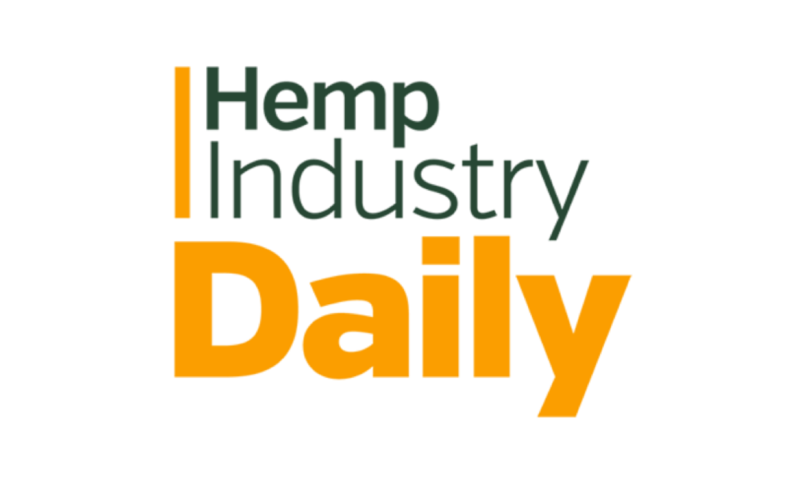 Cristina dedicates a portion of CB Counsel to testifying in front of legislatures, engaging with elected officials and state agencies, and speaking to audiences nationwide about cannabis and hemp business and legal considerations, challenges, and solutions. Here are some of Cristina's writings concerning cannabis and hemp. 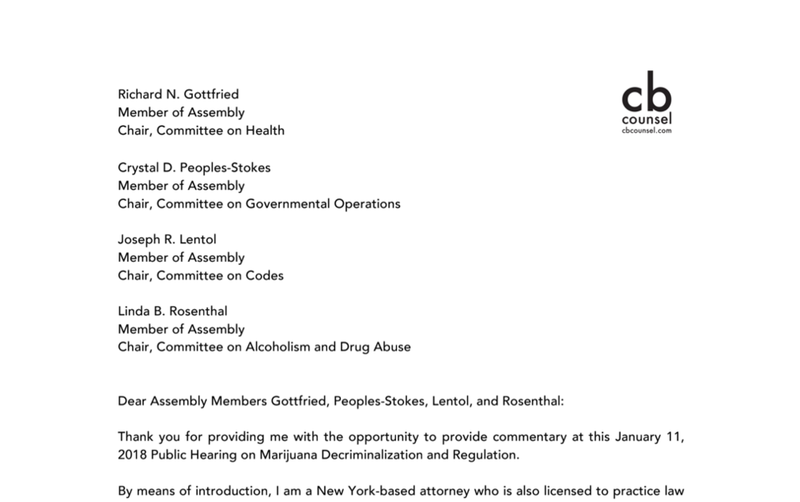 See Cristina’s writings with the New York Cannabis Bar Association here, here, here, and here. For inquiries about Cristina's services, academic and policy collaborations, or media engagements click here.